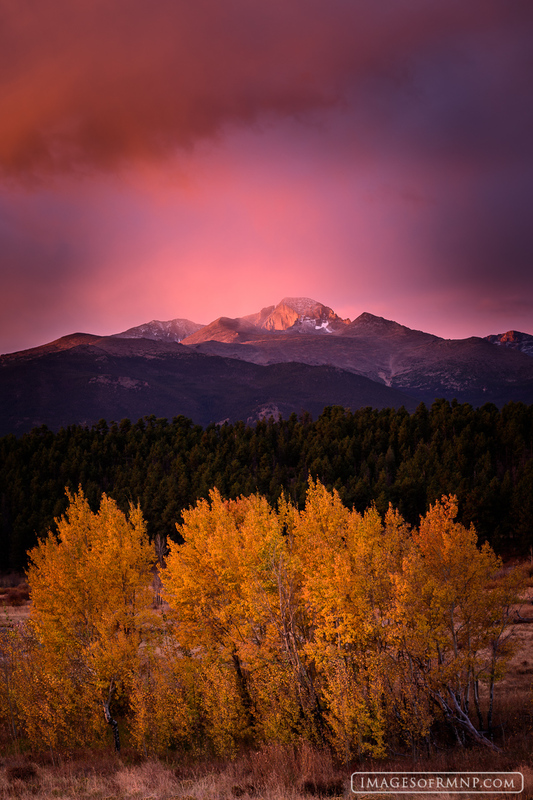 As the first snowstorm of the season began to dress Longs Peak in its winter coat, the last remaining aspens in the meadow below still celebrated. Dressed in their autumn finest they danced and swayed in the cool breeze as if they were either unaware of what was approaching or as if they knew a secret reason to rejoice.
. Photo © copyright by Erik Stensland.